Take the SMART Duo Tweezer in the hand with which you will be placing the (SMART) Russian Volume. 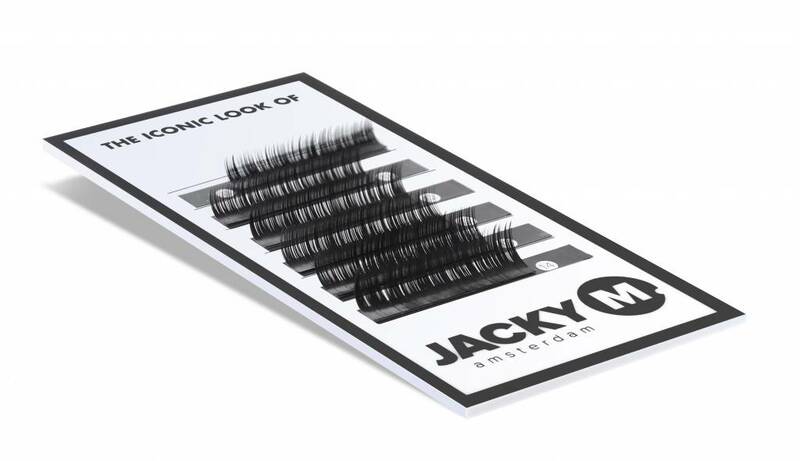 Place the correct sizes of lash extensions onto the Lash Palette, the straight black line and the white background facilitate the making of good fans. Subsequently place the glue sticker onto the appropriate spot: the M. logo. Take your favorite Tweezer in the hand with which you will be placing the One by One lash extensions. Place the correct sizes of lash extensions onto the Lash Palette, the straight black line and the white background facilitate taking a One by One lash extension from the lash strip. Subsequently place the glue sticker onto the appropriate spot: the M. logo.